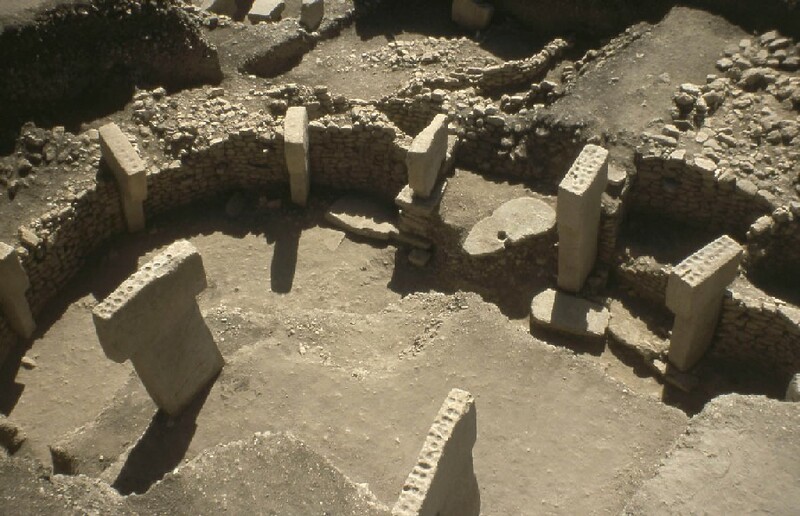 Seven thousand years older than Stonehenge, Gobekli Tepe is a ring of standing stones built by hunter-gatherers in what is now Turkey. This is a huge deal because before it was discovered in 1993, archaeologists thought that temple complexes came after agriculture. What’s even more remarkable is that the temple is in fantastic condition. The builders seem to have covered it completely in tons of soil soon after they built it. 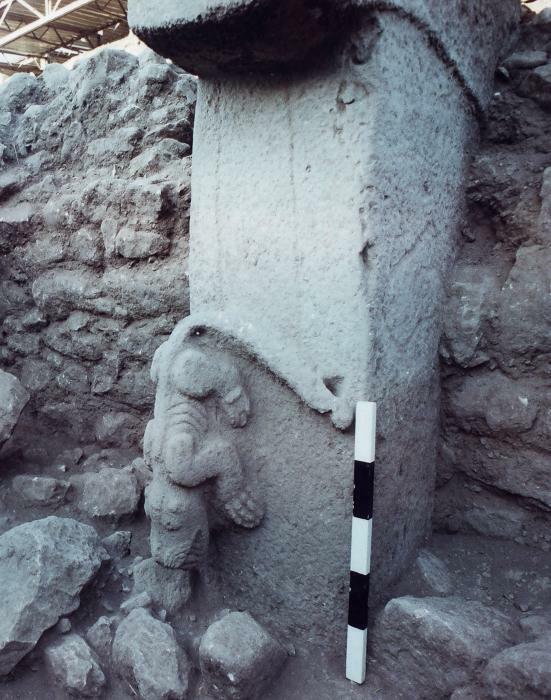 For more information on the excavation, see the Gobekli Tepe page on the German Archaeological Institute website. This entry was posted on Saturday, April 26th, 2008 at 8:28 PM	and is filed under Ancient. You can follow any responses to this entry through the RSS 2.0 feed. You can skip to the end and leave a response. Pinging is currently not allowed. This is truly amazing,but the knowledge of hewing stone and if this is only4out of20 what time period passed from the building to the actual covering how long was each one in use for 300yrs 500 or more for even if it was 300 this means these people had the knowledge of Masonry another 6000yrs which takes us now back to 15,500BC if you take in to consideration the learning of there skills @ the very least 1000yrs these people were living as a community nearly 19,000yrs ago at the very least.Big wake up call for everyone makes a complete sham of all that people have been tote in the last 5,000yrs never mind 19,000yrs why don’t all the Religeons of the world just call it a day or are they going to lay claim to this one as well to make more wars and money lets take care off our children as they did James Killen Builders and Scotch Slaters now in Ibiza.